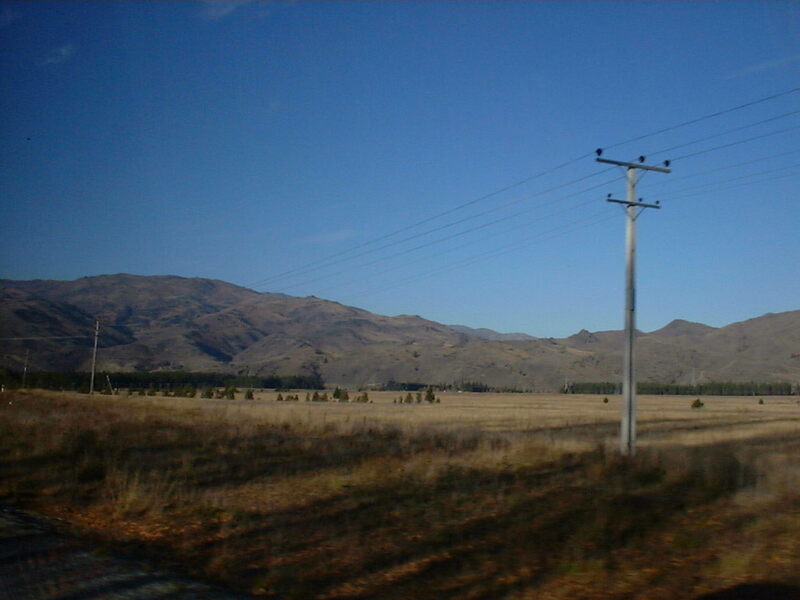 The trip from Christchurch to Queenstown started out in the Canterbury Plains, mostly flat pasture land. 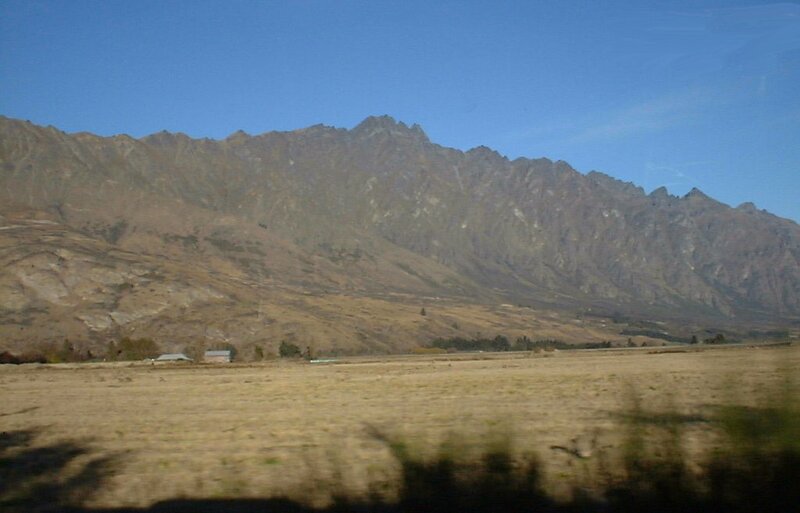 As we traveled toward the Southern Alps (the early settlers were completely incapable of coming up with unique names for anything), everything got drier, browner, rockier, and mountainier (ok, sorry, I just liked having all the words end with 'er'). A couple pictures of a lake we stopped at along the way. 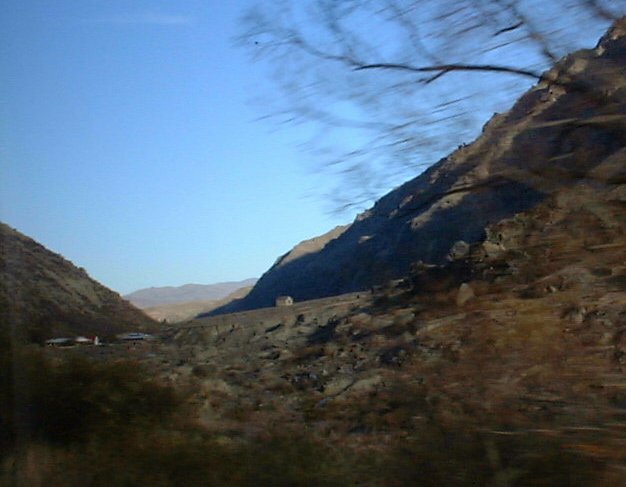 Scenic hills along the way. 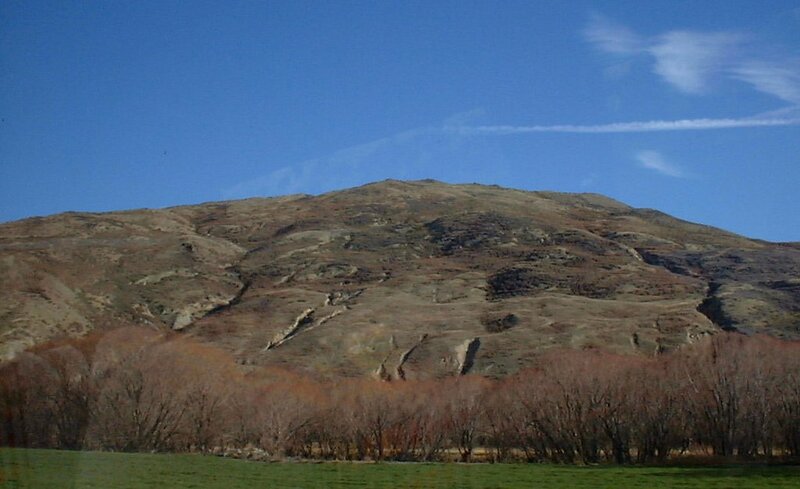 The canyon just east of Queenstown still holds evidence of the gold rush that first brought settlers to this area. Here's a view of the Remarkables, which serve as a backdrop to the city of Queenstown.